Aaron Rodgers injured his left knee it in the first game of the year and spent the rest of the season dealing with pain and discomfort. 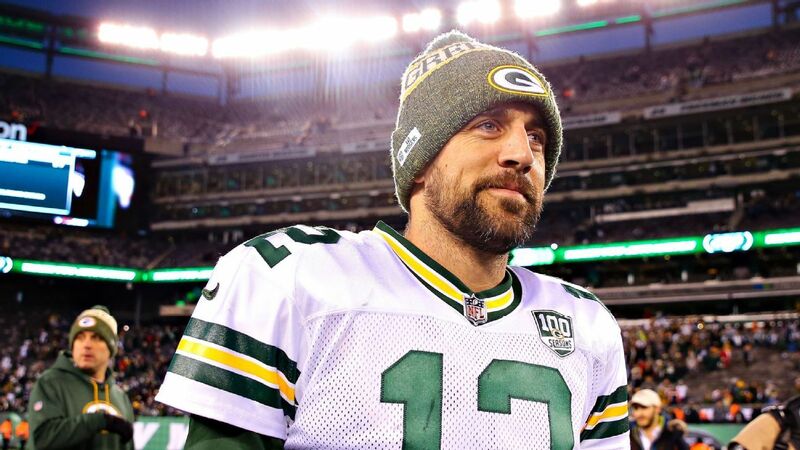 However for now, Rodgers has decided against surgery and is taking another approach to healing during the off-season. Speaking publicly for the first time since the Green Bay Packers’ 31-0 season-ending loss to the Detroit Lions, the game in which Rodgers left with a concussion, the quarterback said his knee is back to 100 percent. “I feel great. My body feels really good,” Rodgers said during a red-carpet interview with the NFL Network before the NFL Honors awards show Saturday evening. Rodgers won the award for leading the Packers to 24-23 victory over the Chicago Bears in the Sept. 9 regular-season opener after trailing 20-0. Rodgers battle pain in that knee throughout the season. However, he said: “instead of getting surgery post-season, (I) decided to kind of go through a different routine with my knee than I’ve done in the past. And I’m feeling really, really good” and he’s ready to resume his usual offseason workout regimen.